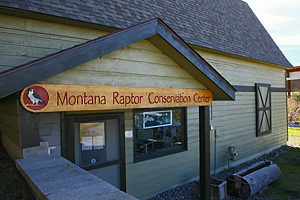 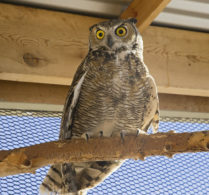 The Montana Raptor Conservation Center resides in donated barn and rehab structures on thirteen acres of donated land. 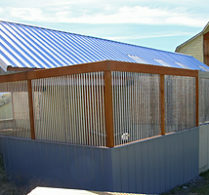 Many thanks to Judith King! 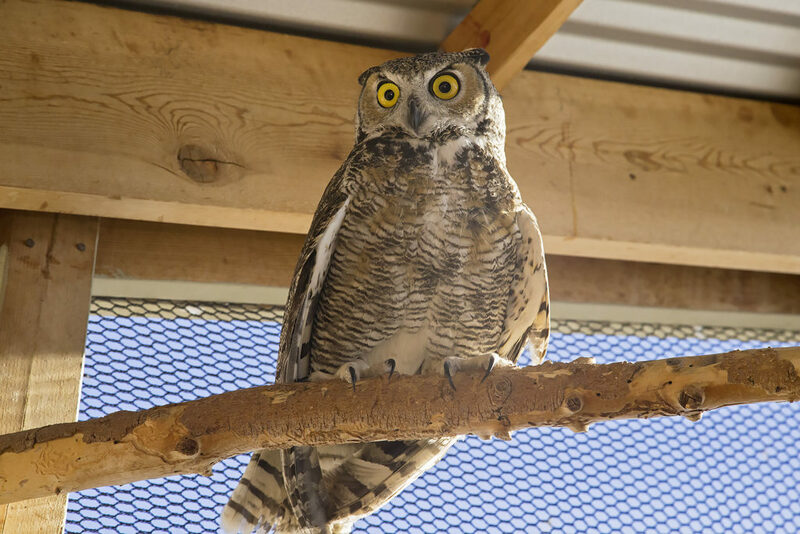 The facilities include the main barn that houses the office, food preparation area, exam and x-ray facilities, an Intensive Care Unit, a Secondary Unit, and bird enclosures upstairs. 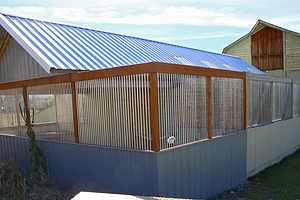 The MRCC office building includes exam and medical rooms and intensive care enclosures. 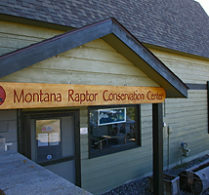 This is the education Mews Barn where the larger, permanent resident, education raptors reside. 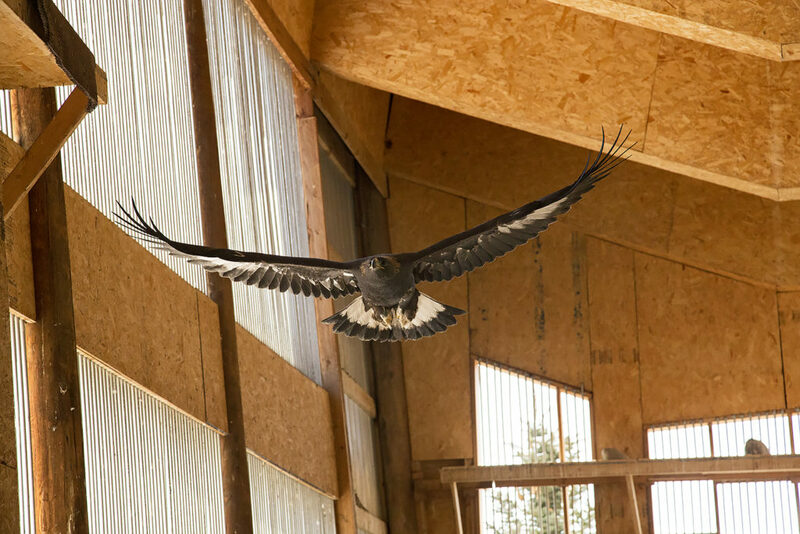 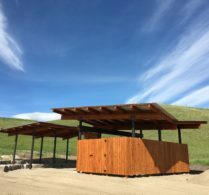 This is our large flight barn, where larger hawks and eagles exercise and are evaluated for flight. 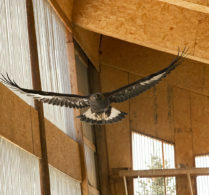 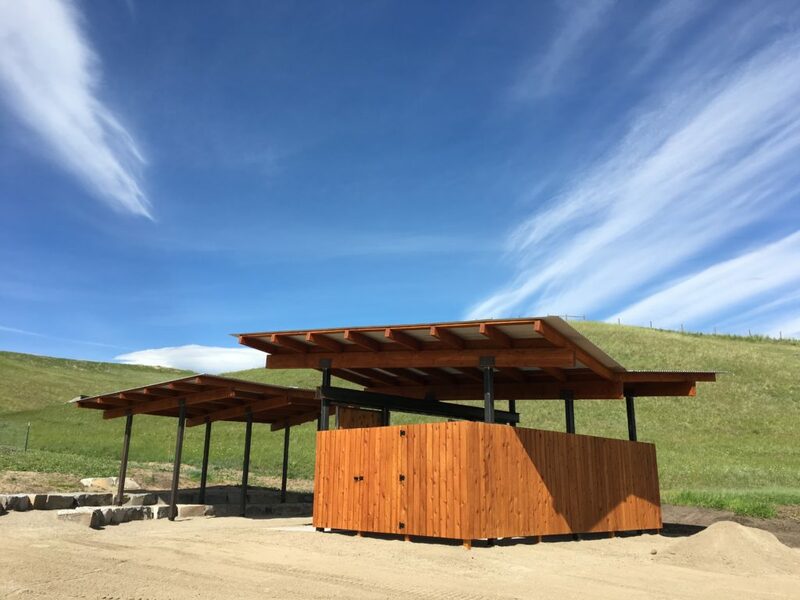 The Yukon Barn is a medium sized facility where smaller raptors and owls can strengthen their flight muscles.